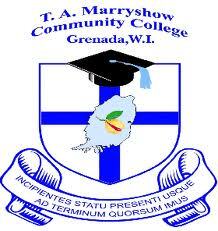 T A Marryshow Community College is offering new courses and services for 2017 to meet your professional needs. Pay close attention to deadlines and don’t miss this opportunity to add something new to your portfolio. Acupuncture and Cupping training is now available for interested medical practitioners (doctors and nurses). Registration begins at the School of Continuing Education from 9 to 20 January 2017. Dr Miao, an expert in traditional Chinese medicine, will facilitate the training. Acupuncture and Cupping service are also offered to the general public. A Chinese Doctor who is an expert in traditional Chinese medicine will be providing the service. Interested persons can contact the college to set an appointment on telephone # 440 1389 ext. 2273/2328. Attendance days are Wednesday and Friday, 1 pm to 4 pm. TAMCC’s new state of the art music and recording studio. It is well equipped to offer full training to all aspects of the music industry in Grenada. We are collaborating with expert music and recording professionals from the industry, to deliver training in a number of areas. The general public is invited to register with the school of Continuing Education for a first course in Music Production Technology. Registration begins 9 January and ends on 20 January 2017.